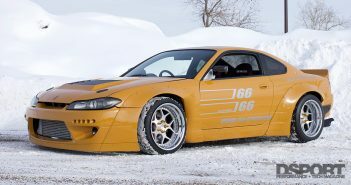 In the first two Test & Tune segments, our 2001 Nissan Silvia S15 gained a total of 68.9 horsepower by removing exhaust restrictions, increasing airflow into the compressor, reducing intake air temperature and fine tuning the engine management system. 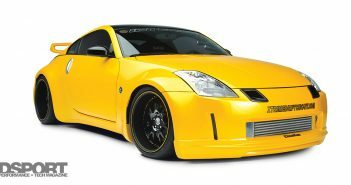 The Tanabe Concept G Blue turbo-back exhaust system, Blitz LM Intercooler, A’PEXi PowerFC and Super Suction kit, along with expert tuning resulted in a 34-percent increase in power compared to our baseline of 200 horsepower. For this installment, we continue the quest for horsepower by evaluating a set of Tomei Poncam Type-R camshafts, a Peak Performance exhaust manifold and Rockett Brand 100-octane unleaded race fuel. Tomei Power is a cornerstone in the Japanese performance community. 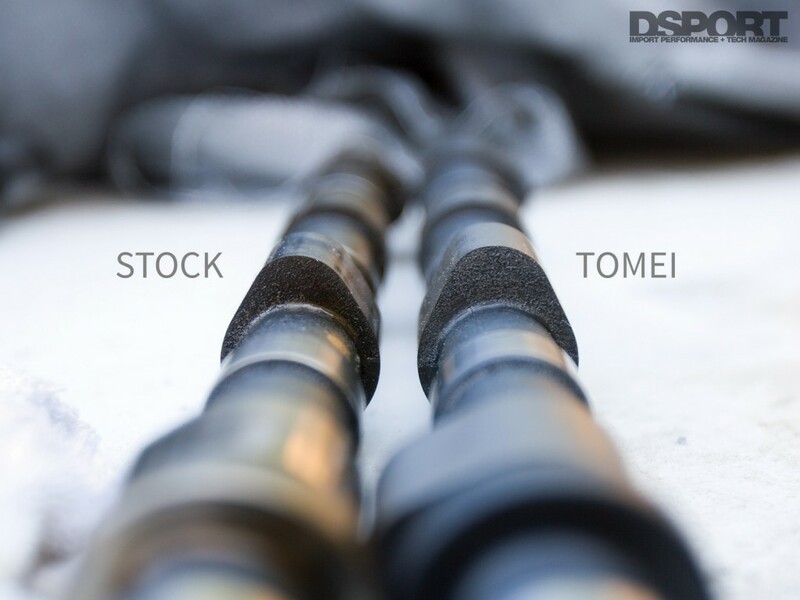 With decades of experience and knowledge under their belt, many look to Tomei when serious performance is the objective. 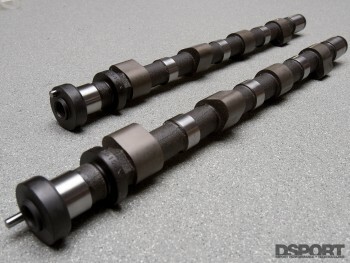 In this installment, we test the Tomei Poncam Type-R camshafts for the SR20DET engine. These camshafts feature 256-degrees of duration and 11.5mm of lift. This translates into valves that will open higher and for a longer time when compared to stock. The stock camshaft profile is only 240-degrees of duration and 9.2mm of lift. The beauty of these camshafts is that they do not require a valvetrain upgrade to operate properly, making this a straight-forward bolt-on affair. Peak Performance’s equal-length stainless-steel exhaust manifold is a direct replacement for the factory cast log-type manifold. The equal-length runners smooth the delivery of exhaust gases to the turbine inlet, which in turn translates into quicker spool up and improved boost production. 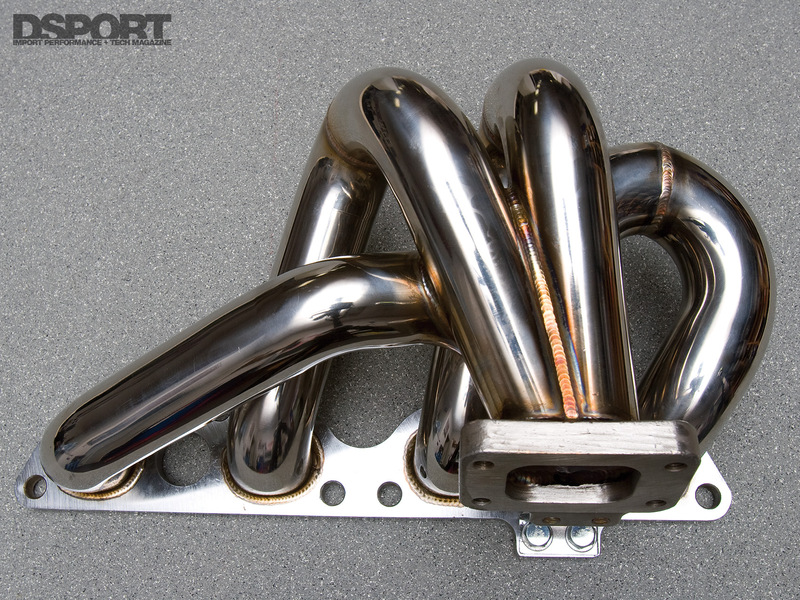 Fashioned from tubular T304 stainless steel then TIG- welded together, the Peak Performance exhaust manifold positions the turbocharger in the factory location, thereby requiring no fabrication or custom parts to complete the installation. As we approach the threshold of the stock turbocharger’s capacity, we decided to try increasing the fuel quality with some 100-octane unleaded fuel. 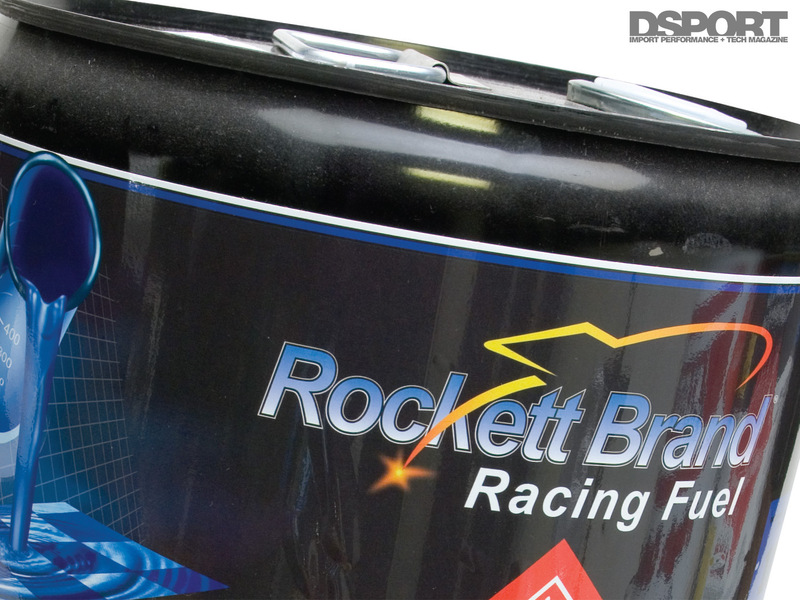 Rockett Brand Racing Fuel’s 100-octane unleaded race fuel makes it possible to tune the engine with increased boost pressure and advanced ignition timing safely. We had approximately 5 gallons of 91- octane in the tank when the 5-gallon pail of 100-octane was added. Therefore, the effective octane of the fuel mixture is 95.5-octane. Also, since this fuel is unleaded, it is street legal and does not harm catalytic converters or oxygen sensors. Although not practical for a daily-driven street-tuned vehicle due to the much higher price-per-gallon, it is good to know the value of race fuel when tuning for maximum potential horsepower or for race preparation. 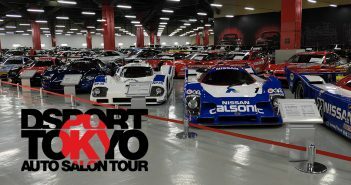 Previous ArticleHAIL TO THE KING | The Super GT 2009 GT300 Champion is a Lexus IS350? !